“In Deadzone, you control an elite squad of soldiers and engage your opponents in furious fire-fights within the cramped confines of an urban battlezone. 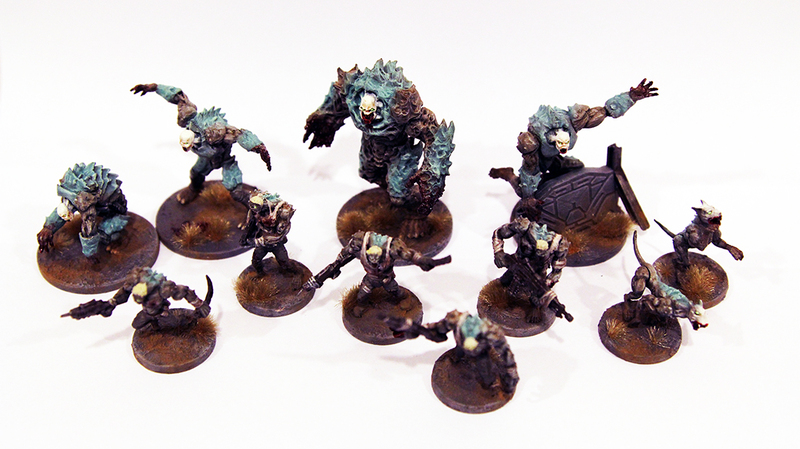 Plague offer some super cheap spam troops which outnumber Enforcers and even Rebels frequently. To make up for the relatively weak standard troopers, stage two and one creatures make fearsome close combat monsters, tearing Enforcer armour apart as if it were mere paper. In game I like the manoeuvrability and durability of your spearhead units. 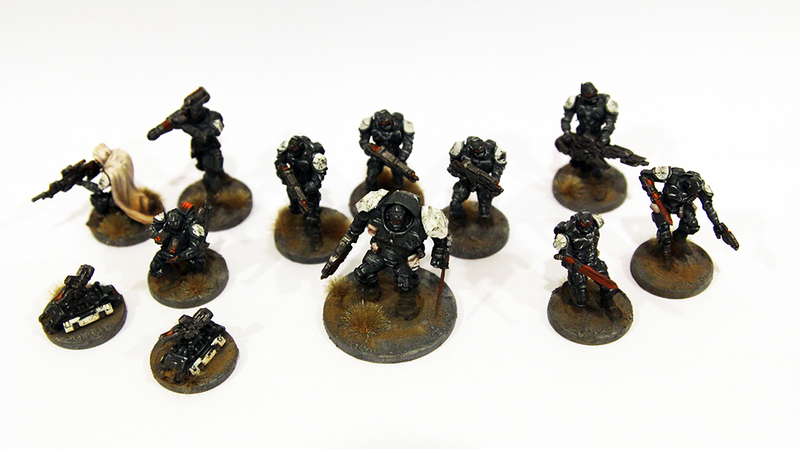 Enforcers are closest to the good guys as you can get in this grim dark, commerce driven universe, Mantic created. They fight the Plague and perform difficult tasks, whilest being hard as bricks. If you come from GW games, you could compare them to Marines, or Bretonia. In game they do need to cooperate and profit a lot from synergies between specialist units. Winning is not that easy though, as being outnumbered, means focussing on your mission and dedicating specific tasks to every single one of your few Enforcers.